Do you believe in miracles, signs and wonders? I do! A couple of mornings ago I was riding my mountain bike on a quiet country road, and speaking to Jesus, (more like crying out to God), and asking Him to undertake for us with the huge It's Time event coming up in Cape Town in about a week! And as I looked up into the early morning sky, in the clouds I saw the very distinct form of a massive hand. 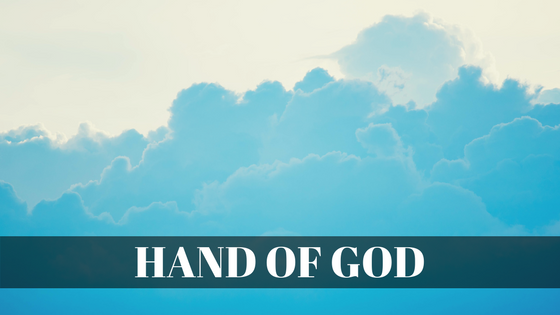 The palm of the hand was situated in the North, and the fingers were stretched out towards the South, it was as if our Heavenly Father was saying very distinctly to me, "I have got this event in Cape Town covered by my hand". The peace of God filled my soul instantly, and I rode home rejoicing, knowing that Jesus is in complete control of the situation. That great Christian writer, C.S. Lewis, said: "Do not attempt to water Christianity down. There must be no pretense that you can have it with the supernatural left out. So far as I can see Christianity is precisely the one religion from which the miraculous cannot be separated". — William Carey (A simple English country cobbler, who took the Gospel to India).